No matter what the emergency or contingency within our assets, Abu Dhabi Ports is always ready to respond. We conduct regular Crisis Management drills, with the participation of 13 Government entities to strengthen our coordination, response time, resources and resilience. We also established the Abu Dhabi Ports Crisis Management Plan in compliance with local regulations and international standards to minimize potential crisis and ensure business continuity. As a trusted and reliable business enabler in the maritime and trade sector, Abu Dhabi Ports remains steadfast when it comes to maintaining the safety and security standards across our multiple ports. Our levels of operational excellence align with the UAE government’s vision of excellence across all its business units and service offerings. To underline our unceasing commitment to quality, we comply with the mandatory Maritime Sector Transport Regulation guidelines as outlined by the Abu Dhabi Department of Transport. We also follow the UAE Federal Government-approved Port Facility Security Plans on a day-to-day basis. In 2017, the Abu Dhabi Ports Security Management System (SMS) was accredited with the ISO 28000:2007 by the Lloyd’s Register Quality Assurance (LRQA). The prestigious international certification further raises the bar and helps us to equip our managers with the knowledge necessary for effective supply chain management and risk mitigation. Abu Dhabi Ports remains alert by constantly scrutinizing the effectiveness and the implementation of our security designs. We evaluate potential risks and take key steps to eliminate threats before they arise. We leave no room for failure and strive to consistently raise the trust and confidence levels of our customers and stakeholders. 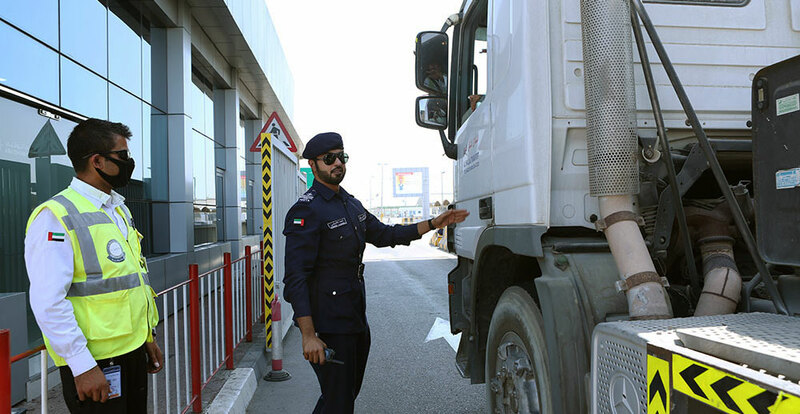 Our main seaports are international gateways to and from the UAE and we need to maintain a robust level of security and control due to the high volume of people and goods passing through these secured areas. Our advanced control centre is equipped with modern technologies and we combine CCTV monitoring with security patrolling (drones in unmanned areas) to stay vigilant regarding our ports and surrounding facilities. Therefore, we request all port users to respect and follow all instructions and guidance given by our security personnel from the moment they step into our premises. Abu Dhabi Ports established its own Emergency and Crisis Management Plan, in compliance with local regulations and international standards, to tackle any predicaments. 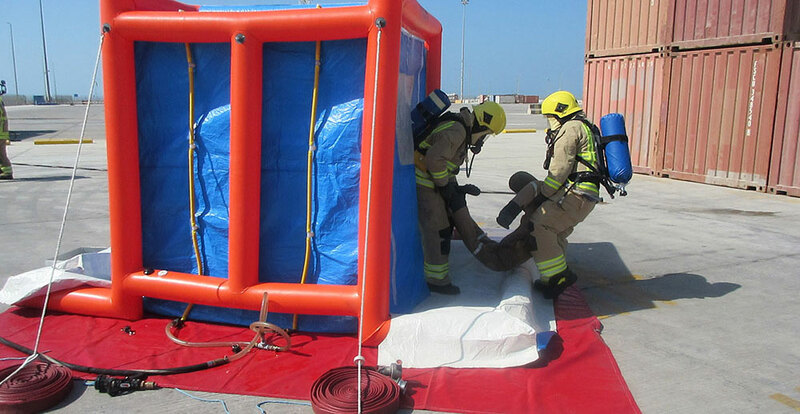 The primary goal of the Fire and Rescue Services is to ensure the safety and security of all port users through effective management of our response forces and all available resources. Our team is fully equipped and well trained to respond to emergencies such as fire, HazMat release, oil spill containment, search and rescue and many other various support services. To minimize the undesirable consequences, we ensure that we stay constantly alert and take all the necessary steps to protect our people, properties, day-to-day business and the environment. In our efforts to minimize the risks and health effects of incidents, Abu Dhabi Ports has contracted a third-party healthcare provider to promptly respond to any emergency call regarding acute illnesses and injuries. The medical team is equipped and well trained to offer first aid, respond to minor-to-moderate medical injuries or illnesses, and provide hospital transport in addition to many other support services. 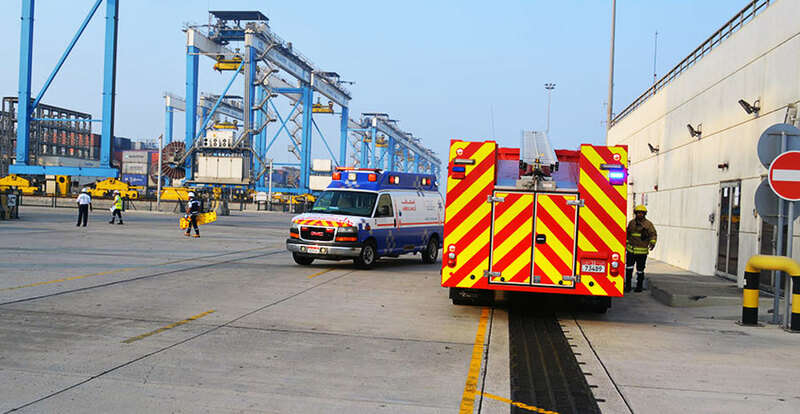 As the safety of all port users is paramount to us, we also maintain an ambulance at Khalifa Port. 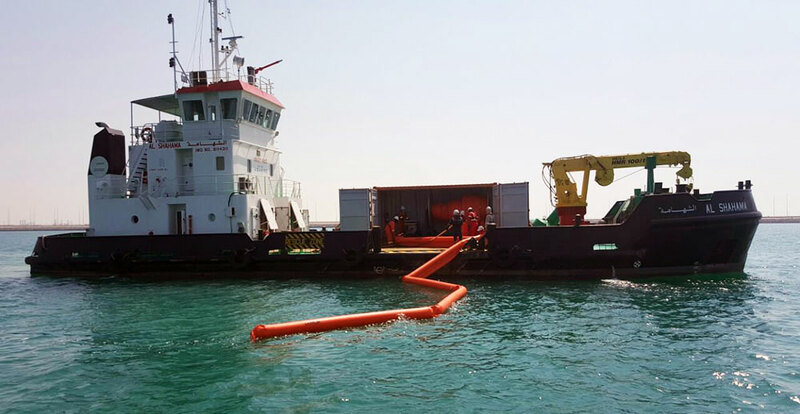 With a safe and clean environment being top priority, we have allocated oil spill equipment across Abu Dhabi Ports to ensure immediate response and containment in eventuality of any spill. SAFEEN, an Abu Dhabi Ports marine services’ subsidiary, takes pride in its dedicated team of professionals, who have training based on IMO Standards and best practices to respond to and combat oil spills within the water limits of Abu Dhabi Ports. The subsidiary has the resources to also tackle any oil spill beyond, which may impact the UAE seawaters, in coordination with Abu Dhabi relevant authorities. We ensure our readiness through regular drills and inspection. We have more than 6000 m types of oil spill booms storage in costumed containers to ensure fast mobilization and deployment, in addition to skimmers, powerbacks, fast tanks and other tools, which assist efficiently in containing oil spills. We remain committed to continuously conserve our natural resources, and constantly strive to minimize potential environmental impacts, which may result from marine activities and port operations. 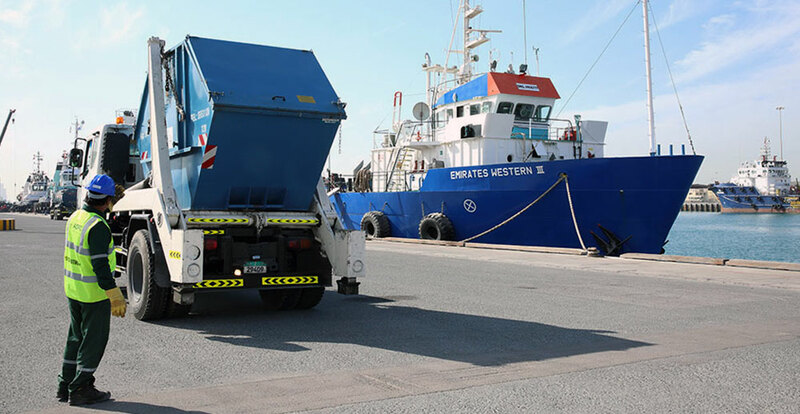 The HSE team at Abu Dhabi Ports manages the waste management services across our ports through a licensed contractor approved by the Centre of Waste Management Abu Dhabi (CWM). If port users wish to appoint a different contractor, they need to obtain specific permissions by sending us a written request at least 48 hours’ in advance. To get the clearance, shipping agents and vessel captains must fill the Waste Service Request form (WSR) and e-mail it to waste.services@adports.ae. 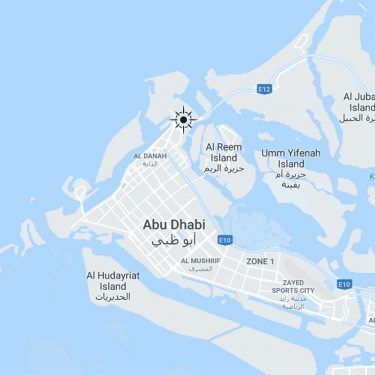 Copyright © 2018 Abu Dhabi Ports. All Rights Reserved.